In order to provide prospective students with the best chance at having a great education, we have compiled this list of the top homeland security programs in the country. Some schools may excel at online programs while others may focus exclusively on the traditional, on-campus aspect of higher education. Regardless of the delivery format, these schools excel at providing a quality education for their students. The US Department of Homeland Security was created in response to the 9/11 terrorist attack. The department’s main efforts are to prevent, address, and respond to terrorism, natural disasters, and other large threats placed on human life and American property. Due to this organization being established, universities created degrees and programs that deal with emergency management, homeland security, and information security to prepare individuals who want to be involved in protecting America’s infrastructure. Online homeland security programs have been made available through many developing and well-known universities. A homeland security degree is becoming more prevalent in the online community. Students are open to a variety of careers within the industry. With a diverse curriculum students gain a significant amount of knowledge to prepare them for roles post-graduation. Choosing to pursue a Homeland Security Degree through an online Homeland Security program can be beneficial to a student’s schedule, finances, and time. Most programs have an accelerated option, as well as other flexible alternatives to completing the degree. Many students value online degrees and the freedom it gives to those with a busy schedule who are simultaneously trying to pursue their education. The University of Florida has developed a unique degree in Emergency Services. High levels of training and education are required to pursue careers within the emergency field. UF has created courses related to response, planning, and disaster management. By completing a degree in emergency services, a variety of job opportunities is made available to students on local, state, and national levels. The University of Alaska-Fairbanks helps students develop skills through their online homeland defense program to progress in their career. From the Homeland Security and Emergency Management bachelor’s program, students have the option to choose a concentration such as cyber security, emergency management, fire management, and more. UAF is passionate about quality education at an affordable price and has made tuition the same flat rate for both in and out of state students. Through these programs, students will be placed in real life scenarios to demonstrate skills learned and to better prepare students for careers after completing their degree. Grantham University through its Criminal Justice program specializing in Homeland Security prepares students for jobs within border security, intelligence, disaster planning, and terrorist prevention. Starting with the basics the program teaches students to analyze theories and concepts throughout the course. Grantham understands the importance that criminal justice and homeland security has in society, and has developed a program that reflects the value of the fields. 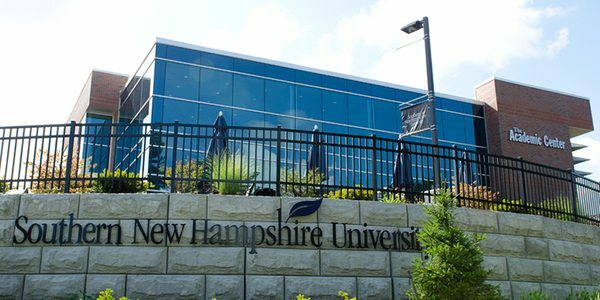 Southern New Hampshire University’s main focus is to make learning accessible and provide career centered degrees that can be completed on the student’s’ schedule. With the option of six different start dates, students can choose when to begin the program. Graduates will be competent to combat terror and respond effectively to international terrorist campaigns. SNHU offers complete access to resources and tools to its online students. Students are encouraged to contact alumni and career services to locate an internship to better build their skills. As a Catholic Liberal Arts University, SLU has become an innovative learning community that many students have excelled in. With the option to specialize in Homeland Security, Saint Leo offers an excellent bachelor’s program in criminal justice. Courses explore the modern middle east, legal issues with terrorism, and exploitable weaknesses in terrorist organizations. Students who do not have professional experience can be placed in field programs to experience real life situations and even earn a police standard certificate. Additional programs and clubs are available at Saint Leo to network as a student for future endeavors. Understanding the need for flexible accredited online learning options, NU has developed career oriented degrees to all students to better fit their needs. The Homeland Security and Emergency Management degree give students the fundamentals of situations they may come in contact with in their careers. Courses teach about security issues, cultures of terrorism, emergency preparedness, and more. Students looking to complete their degree quickly can take part in the accelerated program to finish. In the final senior year of the program, students are required to take part in a supervised senior project that includes detailed research and writing requirements. From the coursework required, students will gain the knowledge to pursue a variety of career options. Kansas Wesleyan University has a one of a kind Emergency Management program that allows students to explore several different avenues of emergency management, including homeland security. With the choice between three concentrations for majors and options for minors, KWU ensures hands-on experience through required internships and will help students pick a career option. Vincennes University was founded in 1801 and offers 2-year and 4-year academic degrees. The homeland security degree teaches students about national security, terrorism, emergency management, and corporation loss prevention. The program is led by educators with over 25 years of experience. Within the program, students will be introduced to the different avenues within homeland security to help them choose a career. Utica College offers degrees in Cyber Security with the specialization of Homeland Security and Emergency Management. The program integrates aspects of criminology, economic crime, computer science and more. Utica College is a national leader in cyber education, and with cyber security professionals at a high demand, Utica prepares its students to be experts in all fields related. Utica prides itself on its award winning faculty that has lead to the success of many students careers. Known as one of the most respected Universities in the south, Tulane University has been at the center of development and learning within the region. Its Homeland Security Program is a great fit for those who care about safety and security for America. Many career opportunities are available with homeland security such as public safety organizations, government agencies, and private corporations. Tulane keeps its curriculum up to date with practical learning. Students seeking an online homeland security degree are often drawn to Liberty University’s Criminal Justice Program which has a Homeland Security Emphasis. Liberty is home to over 100,000 online students with many options to pursue. A discount is provided for those who have previously served in the military or law enforcement and are choosing to enroll in the program through Liberty. The program consists of 120 credit hours, with a wide range of minors available if interested. The program includes classes such as criminal law, cyber security, counterterrorism, and more. Bellevue University courses for Security Management are taught in a cohort format. Students who are registered and on the same track, are placed into peer groups to promote interactive and engagement type learning while still online. The degree prepares students for security and managerial positions in private and public sectors. Concepts from many areas such as business, emergency preparedness, criminal justice and more are integrated to develop an understanding of homeland security and all that it entails. The courses that are chosen are critical to the security field, and graduates will be able to analyze security metrics and apply security theories to homeland security policies. Campbell first created its online programs with military and adult personnel in mind. With roughly 6,500 students Campbell provides unique learning opportunities from a Baptist perspective. The online homeland security degree begins with the basic and beginnings of the history of security in America. Students looking to switch to Campbell can transfer up to 64 hours of credits from a two-year university. The program concludes with a seminar to demonstrate applications and concepts learned from the program. With reasonable tuition, Campbell University is well known and respected in the online community. Anderson University, an affordable and non-profit university provides working towards a homeland security degree through its criminal justice program. The program is geared to students with little experience giving these students the fundamentals to grow their knowledge in homeland security preparedness. Graduating seniors are required to complete a seminar. This seminar includes a research project, focusing on something they have learned throughout the program. Walden University offers bachelor’s, master’s, and doctoral degrees within the homeland security specializations that cover all areas of concern. Focusing on the psychological side of terrorism prepares students for breaches of security. Walden University is an educational partner with the FBI National Academy Associates which promotes safety and emergency management. With many specialization choices and different levels of degrees, the timeline to complete these degrees are on the student’s schedule and can be accelerated if desired. Promoting positive social exchange, the student-centered university is very supportive in helping its students succeed. Keiser University is dedicated to serving its online students to help them take the next step to achieving their career goals. The homeland security bachelor degree prepares students for managerial positions within the field. Field placements during the program are not required, however, are still an option if students want that extra experience. The main purpose of the program is to prepare and inform graduates of current issues that threaten American society. Concordia University is a private liberal art Christian Institution that is made up of approximately 74% online learners. The Homeland Security program provides leadership in emergency training, as well as critical thinking and ethical decision-making skills. Enrolled full-time students have the option of completing this degree in as little as 16 months. Topics covered in the major provide students with the knowledge and understanding of factors that contribute to terrorism and how to better protect American Society. Drury University has an extensive internship and experiential learning program that is known for its excellent value. Drury offers a bachelor’s degree in Emergency management, that promotes student support for online working students. Through professional practice, the fundamentals of emergency management are highlighted within the courses. Arizona State University provides one of the largest online community for students. 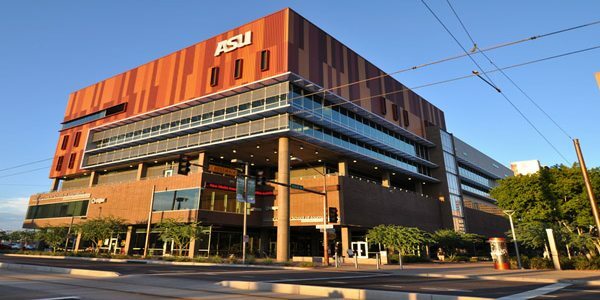 ASU’s focus and investment in the online space have created a high standard for online programs. Offering an online degree in Public Service and Public Policy which concentrates on Emergency Management and Homeland Security. The program is made for students to be able to approach and handle critical situations in the most effective way. Within recent years the need for public security and emergency management has increased. Through ASU’s program, scientific and technical skills will be developed. ASU has provided education to many highly ranked individuals who have progressed within the public service and policy career field. Herzing targets its program towards individuals who can work well under stress, has great respect for authority, and has a passion to promote safety and security. Herzing’s Homeland Security program was established in response to the creation of the US Department of Homeland Security in 2001. The program prepares students to be able to analyze, anticipate, and prevent everything from natural disasters to terrorist attacks. With five different areas of specialization, Pennsylvania State has designed courses for real world application for local, state and federal levels dealing with homeland security. Penn State ensures that the quality of learning online is the same as in person learning. The online community within Penn State is very diverse, allowing students to learn and network with each other. The Homeland Security Program at Saint Joseph’s University is designed to enhance training of those who are currently involved in criminal justice and public safety type of jobs or organizations. Students have access to a network of professionals and experienced faculty who provide students with the extensive knowledge to expand their skills. From a Catholic foundation, SJU proudly serves its students and continues to grow its online programs to better fit the needs of working students. Through Mercy’s business program a Corporate and Homeland Security degree can be obtained by those who want to protect America’s infrastructure from terrorist attacks. Public safety, criminal justice, emergency management, and federal law enforcement roles are easily available to those who continue on after the program. While enrolled, a wide selection of internships is available to students in certain fields that they may be interested in. Hands on experience is still a priority to Mercy even in an online setting. Mercy has been serving online students for 67 years and has educated many strong individuals. Angelo State University was founded in 1928 and offers both bachelors and masters degrees in homeland security. The programs are opened to any student and are specially designed to meet the specific interests of the military. The program covers terrorism, counter-terrorism, and other hazards and their responses. ASU has over 10,000 students enrolled and is one of the most military friendly colleges found in Texas. If your school isn’t included on this list, but deserves consideration for an updated version of our rankings, reach out today!